In late-2015 Indonesian President Joko Widodo signed a government regulation (Government Regulation No. 103/2015 on House Ownership of Foreigners Residing in Indonesia) that allows expats who reside (legally) in Indonesia to own landed houses in the country for a period up to 80 years. Earlier in the year, expats had already been allowed to own luxurious apartments. However, foreign ownership of landed houses or apartments falls under the so-called 'right-of-use' category, locally known as hak pakai, which is weaker than the ‘right-of-ownership’ category or hak milik that can be acquired by Indonesian citizens. It is this 'right-of-use' category that makes it nearly impossible for a foreigner to purchase a mortgage from an Indonesian financial institution. Generally, these institutions reject to sell a mortgage for property that falls under the 'right-of-use' category due to their prudent management (despite the fact that there is no law that prohibits banks to provide credit for such purchases). In Indonesia, a mortgage for a house is called kredit pemilikan rumah, abbreviated KPR, while a mortgage for an apartment is called kredit pemilikan apartemen, abbreviated KPA. Recently, the Indonesian Real Estate Developers Association (REI) expressed its hope that the central government will make it easier for foreigners in Indonesia to obtain a mortgage for the purchase of property because this would boost Indonesia's property sector. One measure that could be introduced, for example, is that expats can obtain a KPR/KPA mortgage with a lower loan-to-value (LTV) ratio as this allows lenders to consider higher-risk borrowers. Expats can only buy property in Indonesia at a fixed minimum price that is determined per region (see table below). When the expat leaves Indonesia to reside in another country, he/she needs to release or transfer the right-of-use to another person who meets all requirements to own property in Indonesia (this can be another foreigner or an Indonesian citizen) within one year after his/her departure from Indonesia. 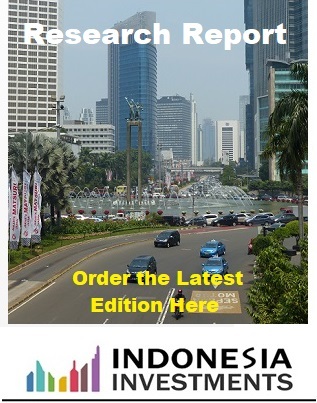 Expats can buy a landed house in Indonesia for an initial period of 30 years. This can be extended twice, once by another period of 30 years and then by a 20-year period (hence foreign ownership can reach a total of 80 years). The first requirement mentioned above - i.e. the minimum price requirement - is a tough one. In Jakarta, for example, expats can only purchase a landed house with a minimum price of IDR 10 billion (approx. USD $752,000). Even for western standards, this is a high price. Given Indonesia is known for its flip-flop policies (implying laws can change rapidly and rigorously) the high price will definitely discourage expats from investing in a landed house or apartment. As such, the opening up of Indonesia's property sector to foreign ownership will most likely fail to boost the property (which has been growing sluggishly in recent years). The table below lists the minimum prices that were determined per region for the purchase of a landed house and apartment by an expat. On the other hand, there is a possibility that the Indonesian government will lower this mandatory minimum price in the future (the government may have felt forced to set ridiculously high minimum prices in order to avert the emergence of public outcry in a country where foreign ownership of land and natural resources is a sensitive issue). In a later stage it may be easier for the government to lower these minimum prices without igniting too much resentment. If, for example, current minimum prices are halved, then it could in fact boost demand for property, particularly if local financial institutions are willing to sell mortgages. Meanwhile, Indonesian property developers seem uninterested to build property projects for foreigners. Firstly, the domestic market in Indonesia is much larger than the foreign market and should therefore remain the main focus. Secondly, it is a difficult process to change the 'right-of-ownership' into the 'right-of-use' category. 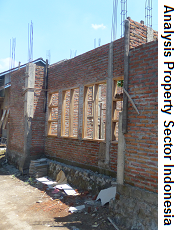 Traditionally, developers of apartments in Indonesia develop the blocks under the 'right-of-ownership' category (which can be bought by locals using a mortgage). If the developer would instead develop the project under the 'right-of-use' category it will generate few local demand and will therefore not be profitable for the developer as the foreign market is still too small. All in all, Widodo's decision to open up Indonesia's property market to foreign "ownership" is an encouraging sign and encouraging first step. However, the current regulations and requirements are unappealing and will therefore fail to entice expats. This article was written by R.M.A van der Schaar, the Managing Director of Indonesia Investments. He obtained his Masters degree in Southeast Asian Studies from Leiden University (the Netherlands) with a major focus on the society, history and linguistics of Indonesia. As far as I can tell, there is still one category of buyer that is not yet covered under the new regulation, which is the case of an Indonesian citizen married with a foreign spouse. Or is there a separate new regulation governing this? @Daud Aditirto, as far as I know it's not covered yet. So when an Indonesian citizen wants to marry a foreigner they will need to arrange a pre-nup, otherwise the Indonesian citizen cannot buy/own property in Indonesia. Since the law was passed how many properties have been purchased by foreigners? Yes, almost none. But cheer up Indonesians you can buy land or property in the United States. In the United States there are no restrictions. I know many people how have purchased houses and land as an investment. I know many people in Indonesia who have made money with there property investments in the United States. That is one of the many reasons why the U.S.has much more investment from other countries compared to Indonesia. Investors from other countries follow the same rules as investors from the U.S.; equal treatment for all. Hello everyone. If you want to buy an office or an apartment in South Jakarta you can call me in 085.785.258.267 (Call/WhatsApp).